SOUTHERN ITALY, MARCH 2013: A 'capo' outside his home. The capo organizes work for other migrants but also exploits them alongside the landowner. 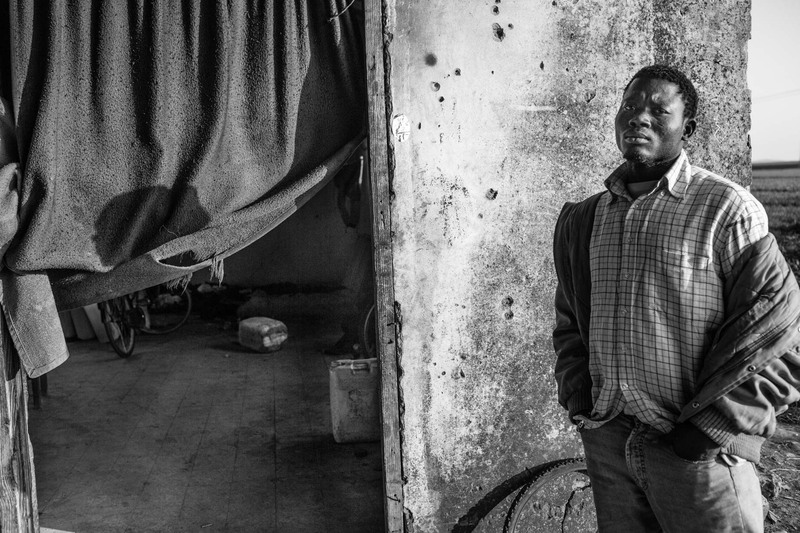 Undocumented migrants, mostly from sub-sahara Africa and Eastern Europe are systematically exploited through long hours, extremely low pay and in-human living conditions year after year.